As I have mentioned before I LOVE Simon Baker so of course I am obsessed with watch The Mentalist. I tend to overanalyze TV so a show like The Mentalist keeps my brain very active. I am still thinking about previous seasons, looking for hints about Red John's identity that I might have missed. I kind of think it all made perfect sense. Just in case you aren't caught up I will leave it at that. The season finale is this Sunday May 18 on CBS and I am wondering if we are finally going to have Jane and Lisbon together. Or at least maybe going in that direction. Now that Red John is gone I think Patrick Jane needs some love! Red Scare (season 2, episode 5): Rigsby and Van Pelt kissing for the first time! From the very first episode it was clear these two had chemistry. Even Patrick Jane picked up on it in the pilot episode! Source: Warner Bros. Entertainment, Inc.
Blinking Red Light (season 4, episode 7): A blogger, James Panzer, obsessed with a case may in fact be the killer ("The San Joaquin Killer"). We are also introduced to another suspect, Richard Haibach (Ethan for all of you LOST fans). Haibach comes back in the sixth season. Panzer and Jane go head to head on a talk show as Panzer attempts to clear his name and show that he is an expert on the case. Jane pushes all of Panzer's buttons and in anger Panzer calls Red John a common sociopath. Panzer says that Red John is not as good as the San Joaquin killer, he's an amateur. Panzer is found dead the next morning with a Red John smiley face over his body. With Panzer dead we don't know for sure if he is in fact the San Joaquin killer or not. Little Red Corvette (season 5, episode 12): Desmond from LOST. Enough said. 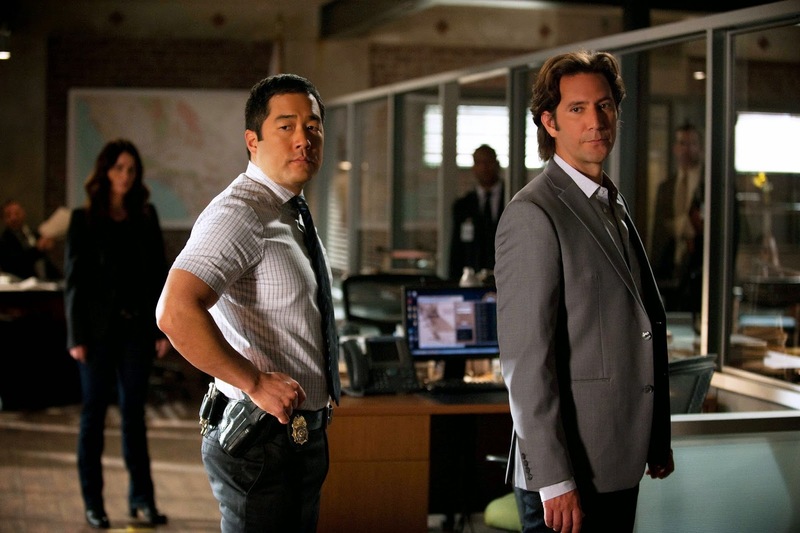 Henry Ian Cusick playing a villain might be even better. Tommy Volker is a very very bad guy with a lot of money and power. Volker is in multiple episodes but I liked this one best because it was filmed at the LA Zoo! The plot is interesting but the fact I (quickly) saw them filming made it even better. H and I were there for one of the zoo classes and I happened to see the chase scene being filmed. Wedding in Red (season 6, episode 3): Rigsby and Van Pelt get married (yay) but we also get another episode with Sheriff McAllister (who is on the list of Red John suspects). Xander Berkeley is fascinating as the small town Sheriff that we don't know much about (he was also pure evil as Percy on Nikita). This is a REALLY important episode. We know Red John has a phobia but we don't know what the specific phobia is. Jane thinks McAllister might be afraid of heights when he won't get up on a ladder in the beginning of the episode. At the end of the episode though he climbs onto the roof to save Jane so clearly he is NOT afraid of heights. Apparently in the same scene he is startled by a pigeon (HINT HINT!). I need to watch this episode again. Red All Over (season 2, episode 20): This is our first look into Visualize, a cult that comes up in multiple episodes. 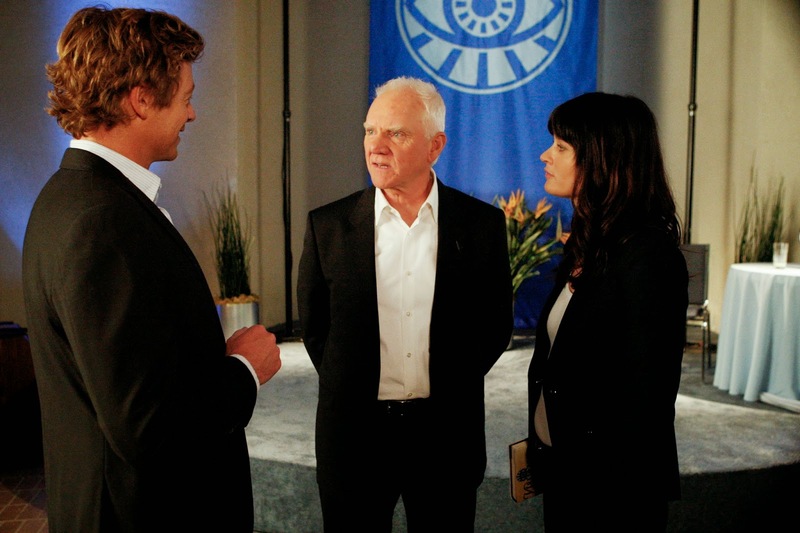 Its leader is Bret Stiles (Malcolm McDowell) who is on the Red John suspect list in later episodes. I wrote a paper on Scient*ology in college (I even visited the celebrity center here in LA) so this episode was right up my alley. Bret Stiles is the perfect cult leader: a charismatic, charming con man! 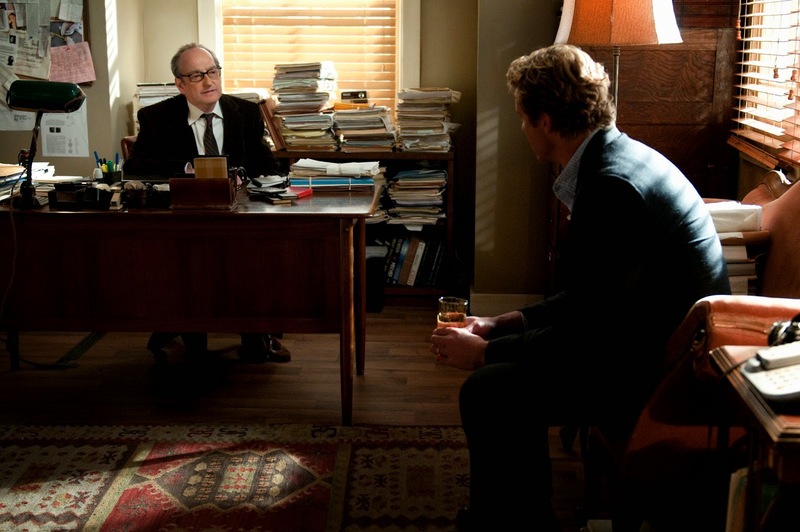 I would love to hear what your favorite episode of The Mentalist is! What are your predictions for Sunday's finale? I need to watch that show, everyone I know loves it!